Denny’s history with black customers could be described as strained, and a new lawsuit that’s just settled out in California certainly isn’t going to improve that relationship. Henry Williams and Renee Hebert claimed that back in 2014, an L.A. Denny’s made them prepay for their meal — a tactic with a history of being discriminatory — because they were black. Williams fronted the eatery about $80, which manager Ali Rahman eventually tried to return. When he tried, it seemed obvious to them that Rahman knew he’d screwed up, because Williams says he had to plead with Rahman to stop coming over to the table and bothering them. After he offered free dessert, they told him they’d actually rather just take their food to go, so they got it boxed up and left. Williams and Hebert say that nobody else was asked to prepay and that they waited longer than the other guests. In court this week, a customer seated nearby at the time testified that they’d handled the situation pretty impressively. “They were black, I’m white, I’ve never been asked to prepay,” he told the jury, adding, “I thought it was appalling for someone in that year and time to be discriminated against like that.” Both Denny’s and Rahman admitted it was a mistake, but argued they had at least two excuses: The order was huge, and that location was in the midst of problems with customers walking out on checks. Williams’s and Hebert’s attorneys pointed out this isn’t really a defense, and, coincidentally, that nearby customer claimed to have seen the staff ask other black customers to prepay in the weeks prior. 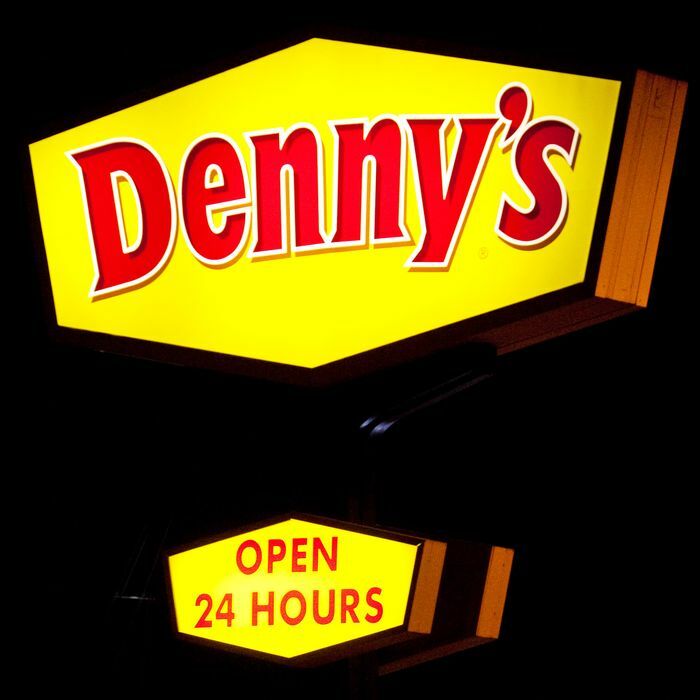 The lawsuit was ultimately settled out of court Thursday, with Denny’s reps saying the terms are confidential. Given Denny’s bad rap already in this area (it agreed to pay $54 million in 1994 for similar discrimination against black customers), the chain was no doubt working with some haste to resolve this case.